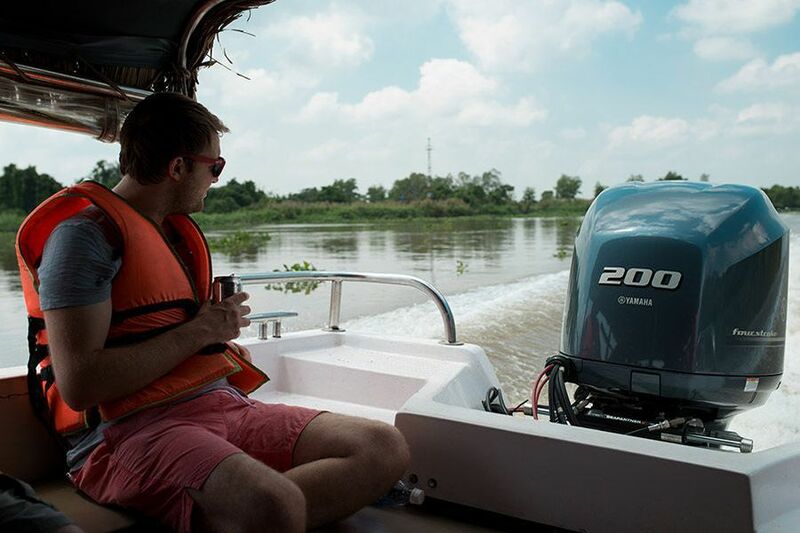 This new combined boat and motorbike tour will give you an opportunity to visit on the same day the famous historical site of Cu Chi Tunnels and the Little Mekong Delta, a so called area in Ho Chi Minh City, of which settings are similar to the real Mekong Delta ones. Start the tour early at 7 am and travel by fast and comfortable Les Rives speedboat to beat the bus crowds. 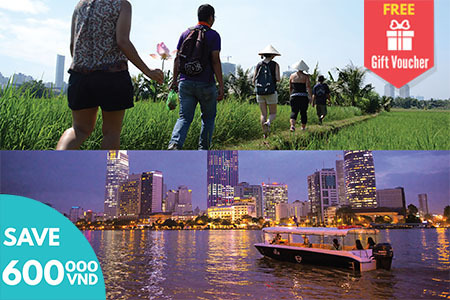 Observe the life on Saigon River and its banks, while enjoying a light breakfast on board. 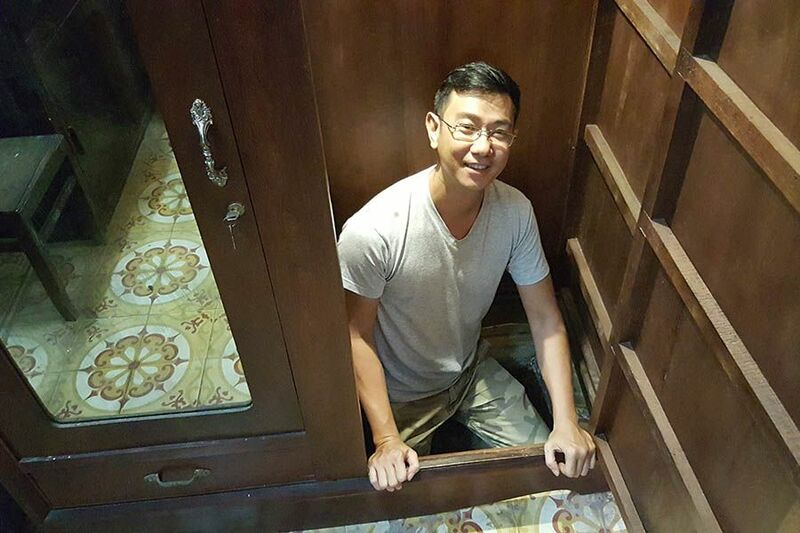 Visit the Cu Chi Tunnels, a small sample of the immense network of tunnels during the US-Vietnam conflict. 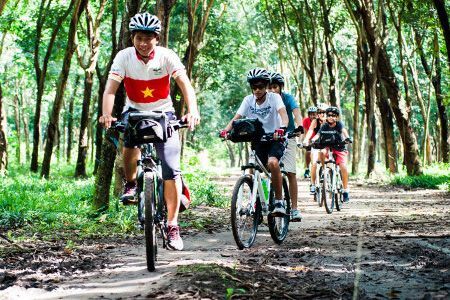 Your guide will lead you through the historic Cu Chi Tunnels, dug by resourceful guerrilla fighters to provide communication and supply routes, hospitals, food and weapon caches and living quarters during numerous conflicts. A traditional Vietnamese lunch of local specialties will be served before you board the boat and return to Ho Chi Minh City. 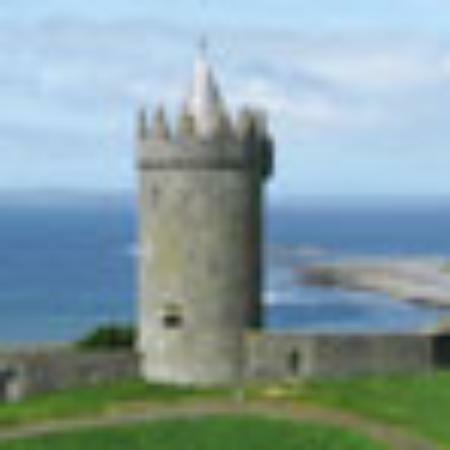 You will arrive at the city pier, where another part of the tour begins. 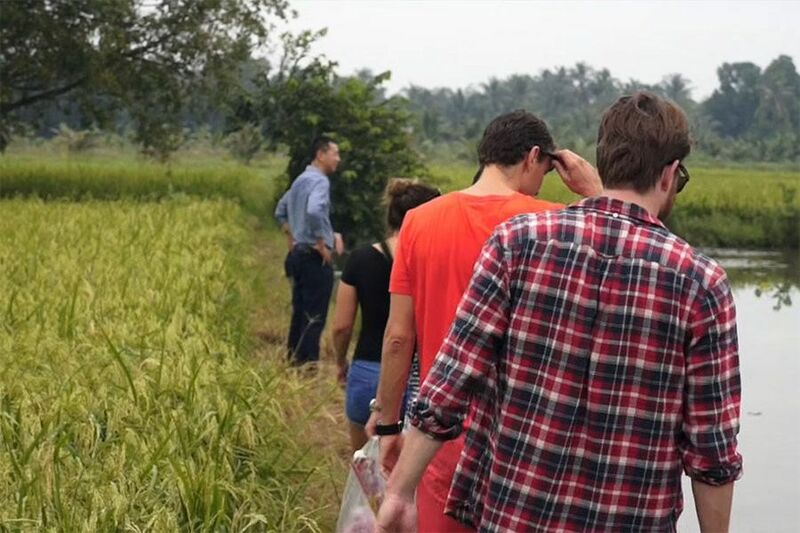 Enjoy a welcome drink while being instructed about the coming itinerary before exploring a secret area of the city, which is similar to The Mekong Delta. Choose your vehicle, either a motorbike or a bicycle, to ride 4 kilometers through the countryside. 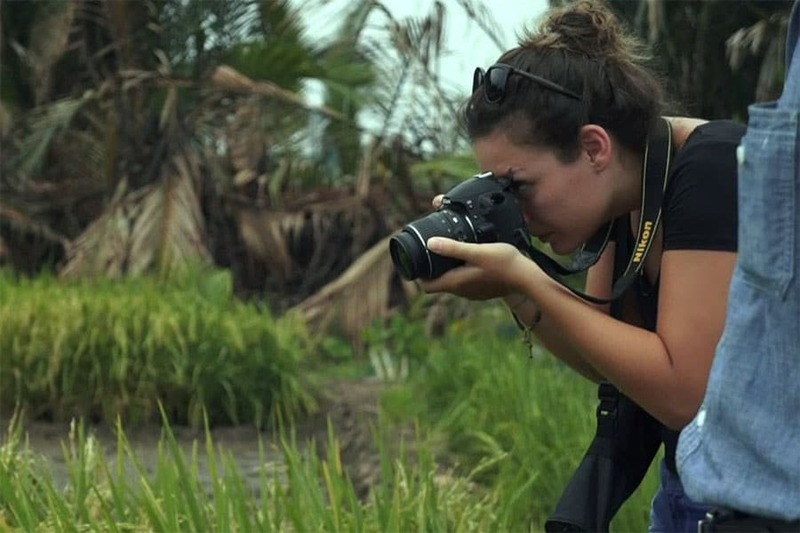 Together with a local farmer, visit the fields where rice, sugar cane, tapioca and lotus grow. In the middle of the field, you will find an altar to the lost souls, where you can light the incense sticks and do the fruit offerings. After a walk, you will visit the farmer’s house to have some rest and enjoy a fresh coconut. You will ride 3 more kilometers in the countryside and your motorbike driver will bring you back to the hotel by 4:30 pm. Inclusion: Light breakfast & lunch, unlimited refreshments and local fruit, English-speaking guide, all entrance fees, pickup and drop off at centrally located hotels. 7:00 am: Les Rives tour guide will meet you at the lobby of your hotel and after a short ride by comfortable minivan you will find yourself at Tan Cang Pier, where the adventure begins. 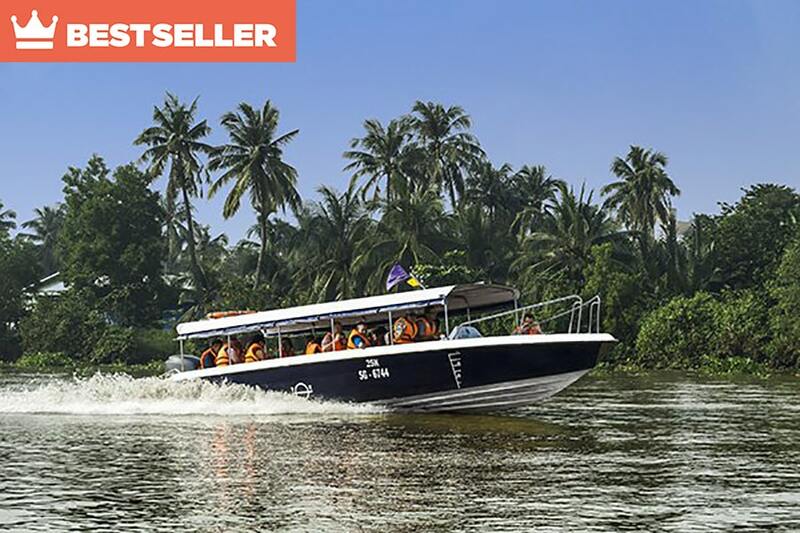 7:30 am: You will board a modern and spacious speedboat and depart to the Cu Chi Tunnels. 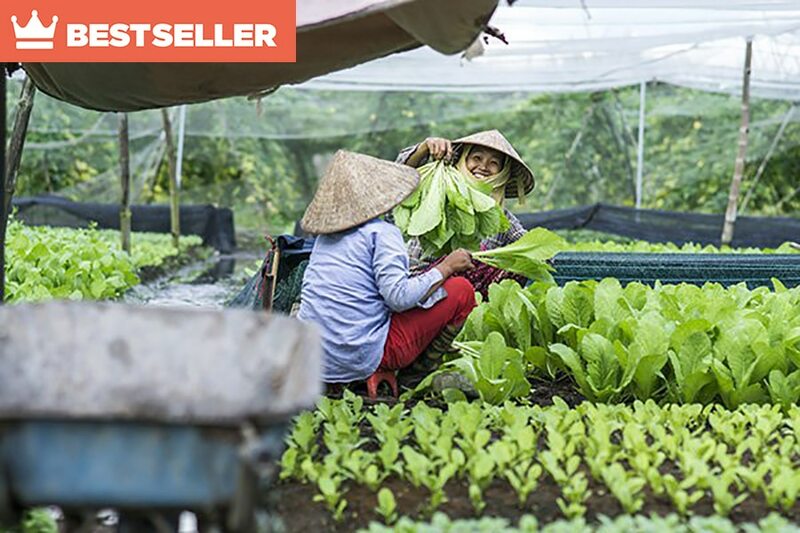 When on board, enjoy a light breakfast of a Vietnamese sandwich Banh Mi with coffee or tea, while learning about a traditional way of life of the locals on the river and its banks. 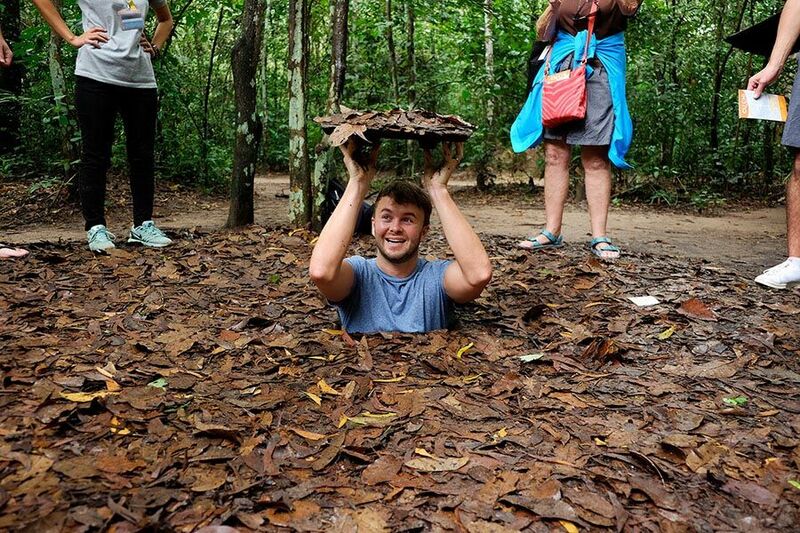 8:45 am: You will arrive at the Cu Chi Tunnels before the larger bus groups. 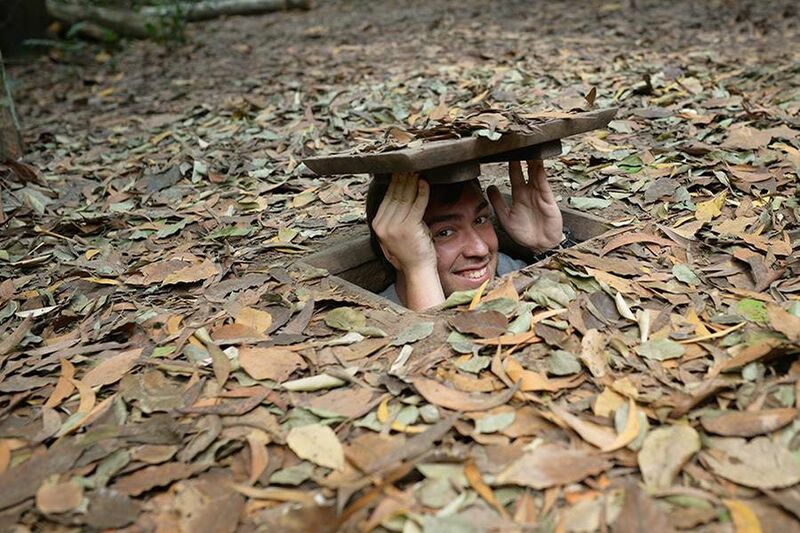 9:00 am: Explore the Cu Chi Tunnels site, which includes weapon and booby trap exhibitions, navigating authentic Viet Cong tunnel, visiting different underground bunkers (kitchens, meeting rooms, ammunition etc. ), a firing range and much more. Try the local cassava root that sustained Viet Cong fighters for years. 11:00 am: Enjoy a delicious traditional Vietnamese lunch by the river, consisting of authentic fried spring rolls, chicken and beef dishes and soup. 11:30 am: Depart Cu Chi and return to Ho Chi Minh City. 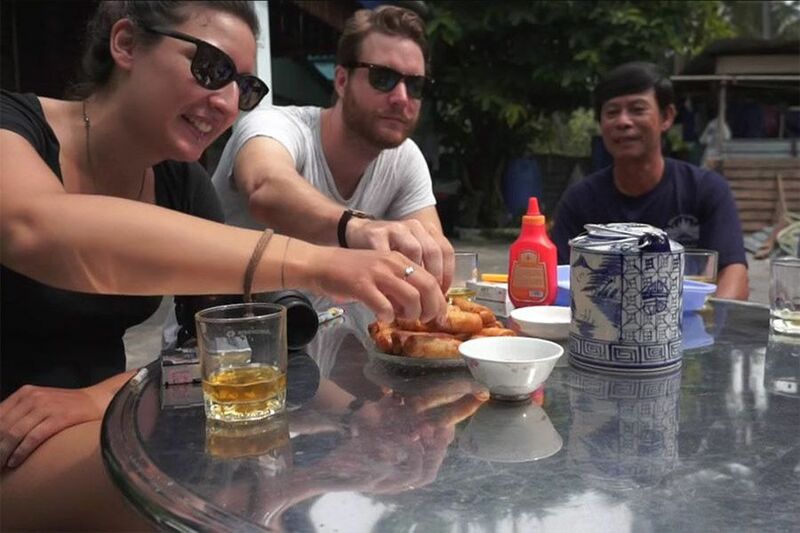 1:00 pm: Arrive at the city pier and enjoy a welcome drink while being instructed about the coming itinerary before exploring the Little Mekong Delta area. 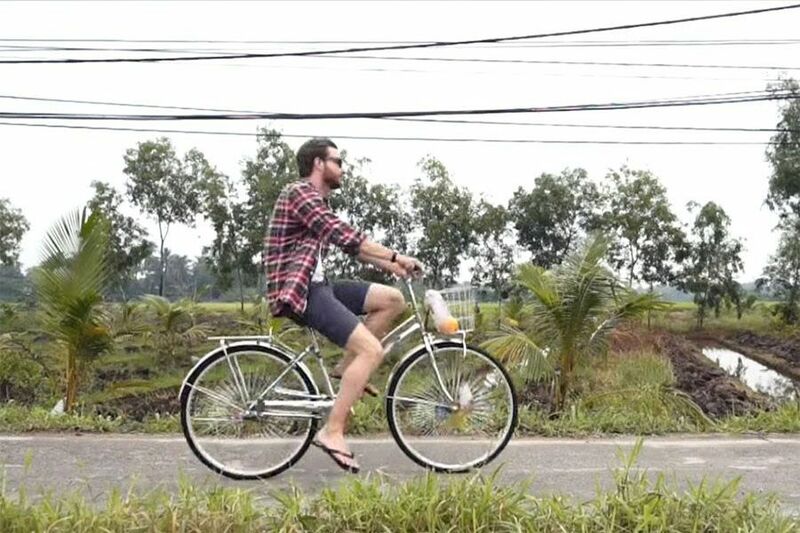 1:30 pm: Choose either bicycle or a motorbike to ride 4 kilometers through the countryside. 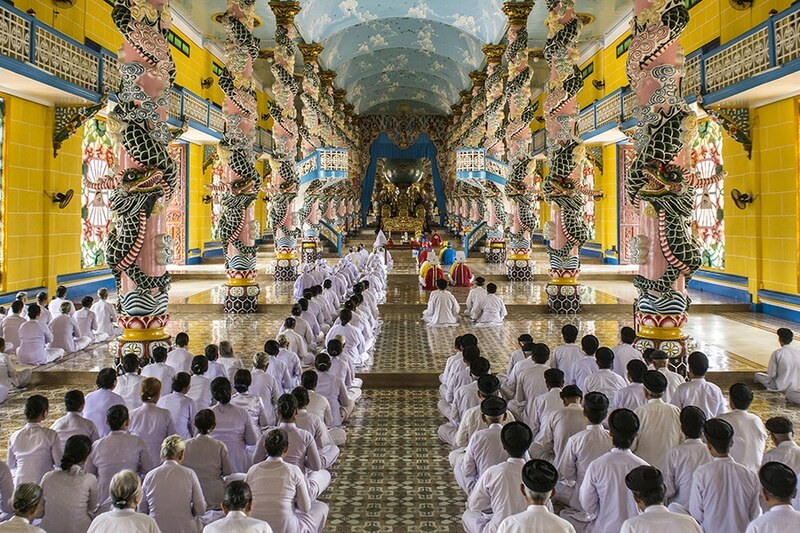 2:00 pm: Together with a local farmer, visit the fields and an altar to the lost souls. 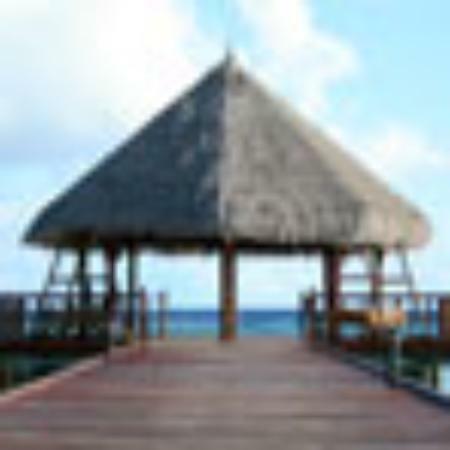 3:00 pm: After a walk, you will visit the farmer’s house to have some rest and enjoy a fresh coconut. Cu Chi Tunnel Historical Site tour will include visiting an American weapons gallery, and later on even a bullet riddled tank. You will be shown a variety of ingenious and rather brutal booby traps used by the VC. And you’ll try to discover secret entrances hidden by fake termite mounds and other creative disguises. You’ll learn everything from how the kitchens fed up to 10,000 fighters in the tunnels (and how they disguised the smoke), to how they defended the tunnels from American bombs and infiltrators. You’ll even see the huge crater formed by an American B52 bomber. And of course, you’ll be able to explore the 1-metre high tunnels themselves. These tunnels have been enlarged slightly, but it can still be a pretty claustrophobic experience – imagine living down there for months! Fortunately, there are regular that allow you to exit easily if you wish. Original, unchanged tunnels can also be explored, although this is certainly not for the faint hearted! 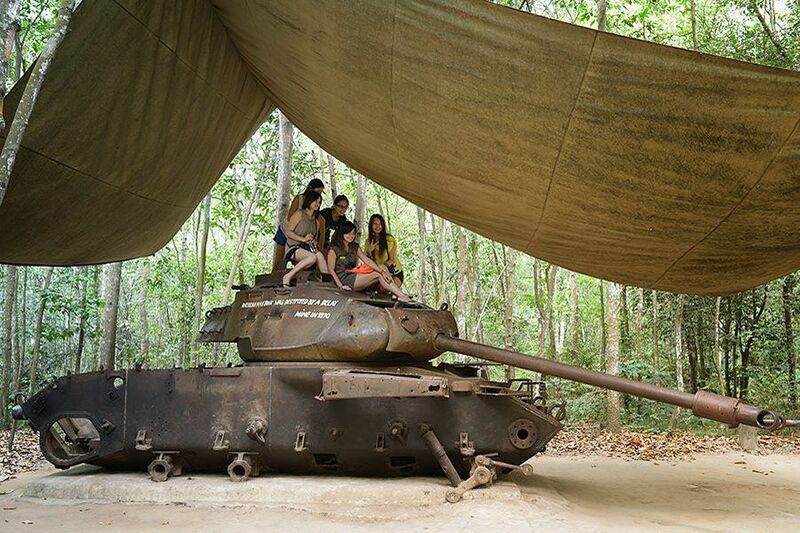 At the end of the Cu Chi Tunnels tour, there is a firing range that allows you to fire real war-era weapons including the M66 and AK47. 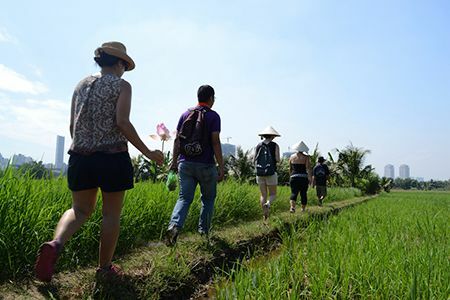 If you are short on time and don’t have a full day to explore the Mekong Delta, Les Rives offers an alternative to visit a so-called Little Mekong Delta, an area located right in the city, which is not even known to some locals. 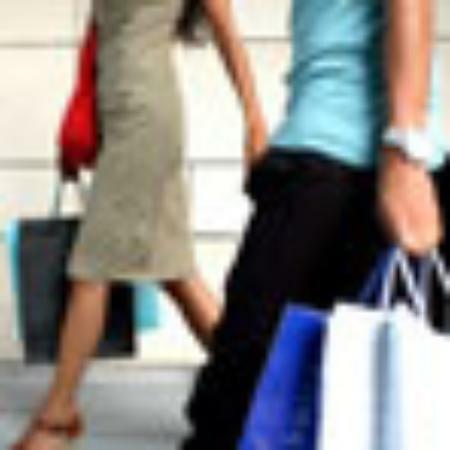 And we can ensure our guests won’t meet other tourists there. You will be offered to ride a bicycle, or if you don’t feel like, you can hop on the back of a motorbike with your personal driver. You will explore the countryside-like area, visit the fields and visit the house of a local farmer, a veteran of the Cambodian war. 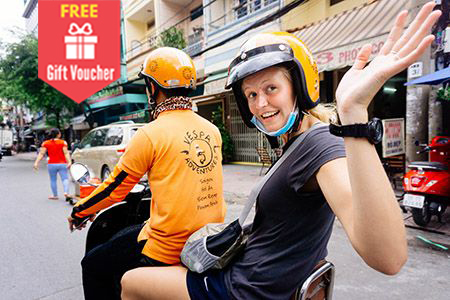 You will have a motorbike ride on the bustling streets of Saigon on the way back to your hotel.